When did 1st Henfield Scout Troop start? The 1st Henfield Scout Troop was founded in the winter of 1907 / 1908. Formed within months of Baden-Powell’s Brownsea Island camp. Regarded as the oldest existing scout troop in the world, endorsed by the Scout Association in 2007. 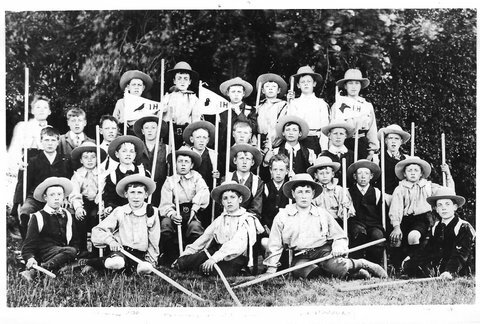 1st Henfield Boy Scout Troop was registered in May 1908; there were 36 scouts in the troop. Robert Baden-Powell was born in 1857 and attended Charterhouse school. Served in the British Army where he led a distinguished career in countries including India and Africa. Baden-Powell or B-P as he was affectionately known became a national hero for his actions during his time in South Africa. During the early part of the Second Boer War between 1899 – 1902, B-P was in command of a small regiment of about 2,000 officers and men in the garrison town of Mafeking. B-P’s under-strength British force was surrounded by a much larger force of around 5,000 advancing Boers. B-P and his regiment managed to defend the town for 7 months until a relief force arrived. During the siege, as men were busy protecting the besieged town, B-P organized the resident boys, or scouts as he called them, to undertake many of the other tasks that needed doing. Mafeking became the birthplace of B-P’s ideas for scouting. In the summer of 1907 B-P ran an experimental camp for boys on Brownsea Island at Poole in Dorset. Twenty-two boys, from ages 10 to 17, took part in the week long exercise, which consisted of camping, cooking, tracking and storytelling. The short paper that B-P wrote in 1906 turned into a six-part newspaper series called Scouting for Boys and finally resulted in his landmark book Scouting for Boys which was published in 1908. Why was 1st Henfield the world’s first scout troop? 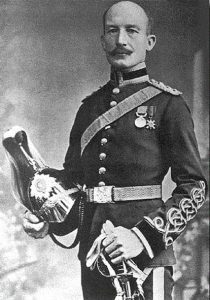 On a journey back from Africa, Baden-Powell was accompanied by an officer from Henfield, Captain A.G.Wade (later to become a Major). During the journey, B-P explained his plans for setting up a training scheme for Britain’s boys modelled on the training he gave to the boys who were scouts during the Siege of Mafeking. Wade was deeply impressed by these plans and upon arrival in Henfield related them to his sister Audrey Wade who at the time was the organiser of a boy’s hockey club in Henfield. As hockey is seasonal, Miss Wade had been wanting a year-round activity for the boys to undertake, so decided to convert the hockey club into a troop of scouts. An old carpenter’s workshop, Hacketts Barn in Church St, served as a meeting place. 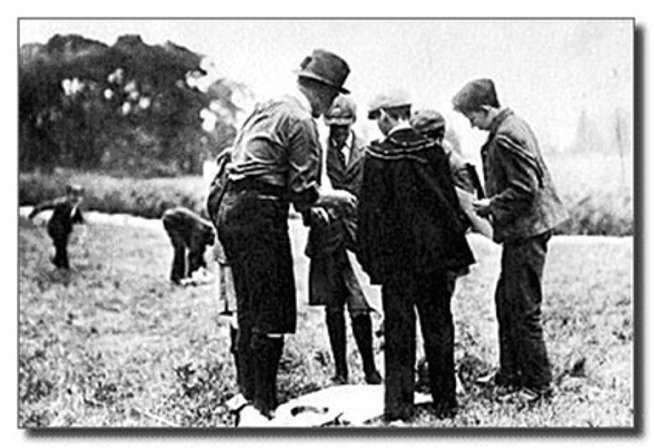 Using the six-part newspaper series, Scouting for Boys, Audrey Wade began training the boys in the scouting activities over the winter of 1907 – 1908 as envisaged by B-P.
By the time of the official launch of the Scout Movement in January 1908, Henfield had 30 scouts. As National Secretary, Major Wade himself went on to become very important in the early development of the Scout Movement and organised the first national Scout Jamboree at Crystal Palace in September 1909. 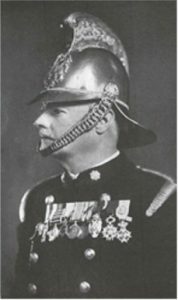 In 1920 he was largely responsible for organising the first International Jamboree, for which B-P insisted he become the first ever recipient of the Double Silver Wolf, Scouting’s highest honour. Major Wade married B-P’s secretary and the couple, who lived at B-P’s home for a while, became close friends with B-P who was later to become godfather to their son.